Apples are probably the most amazing gift from Mother Nature. This fruit has a lot of health benefits, and it can prevent even stroke. Even though the apples you see at the supermarket may look fresh and shiny, sometimes the fruits are not that clean and healthy as you may think. Apples contain a lot of water and produce natural wax to protect it. When processed, apples lose some of this natural wax, and to prevent any rotting, artificial wax is often added. This wax is sometimes petroleum based and the toxins contained can be harmful for your organism. The best solution is to buy organic products at the local market, where farmers grow the fruits they sell. If you are still unable to do this, be sure to remove any wax from your apples. We suggest you to try this simple method, and the best thing about it is that you have all the ingredients needed in your kitchen. 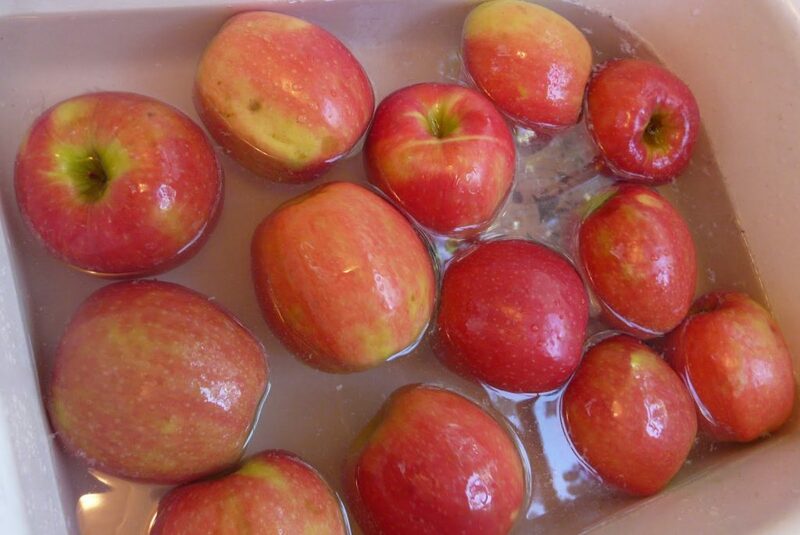 You should see the wax coming out of the apples as the water becomes cloudy.